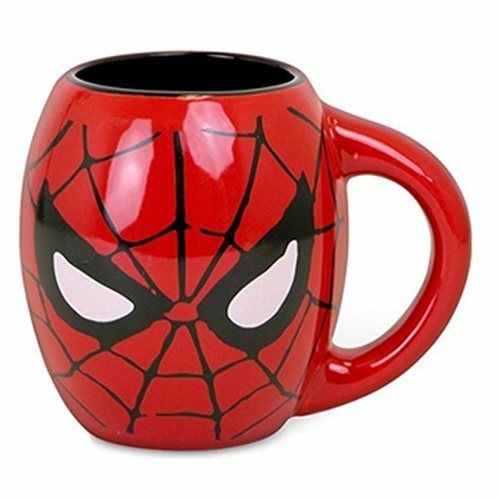 Sling some web; drink some coffee. Sling some more web; drink some more coffee. That's what this Spider-Man Red 18 oz. Ceramic Oval Mug is all about. Hand wash only. Not dishwasher safe. Do not microwave. Measures approximately 5 3/4-inch tall. Ages 14 and up.